Looking north on Jefferson Street, from the Four Corners, in the early 1900s. 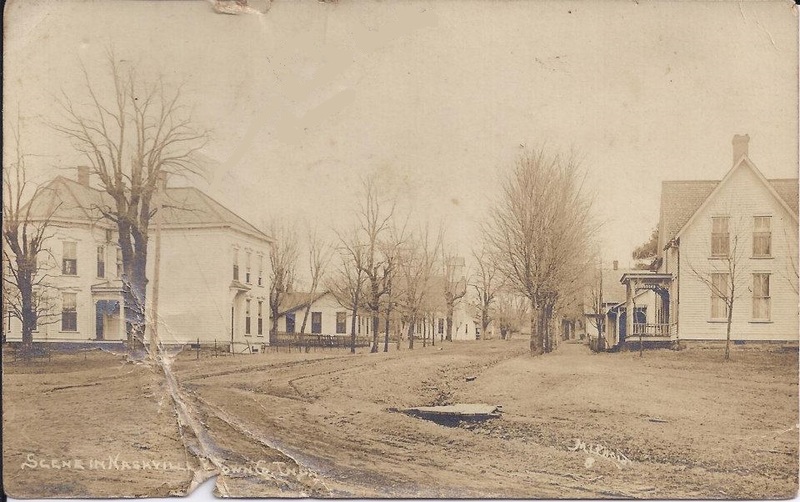 Frank P. Taggart's house (1880) on the left. The Martin Hopper family lived here(1910) and was related to the Taggart's. Taggart house is now the Bright & Williamson Insurance Office. Across the street, (right side of photo)is Dr. Frank Tilton's (1875) house. Both houses survive. 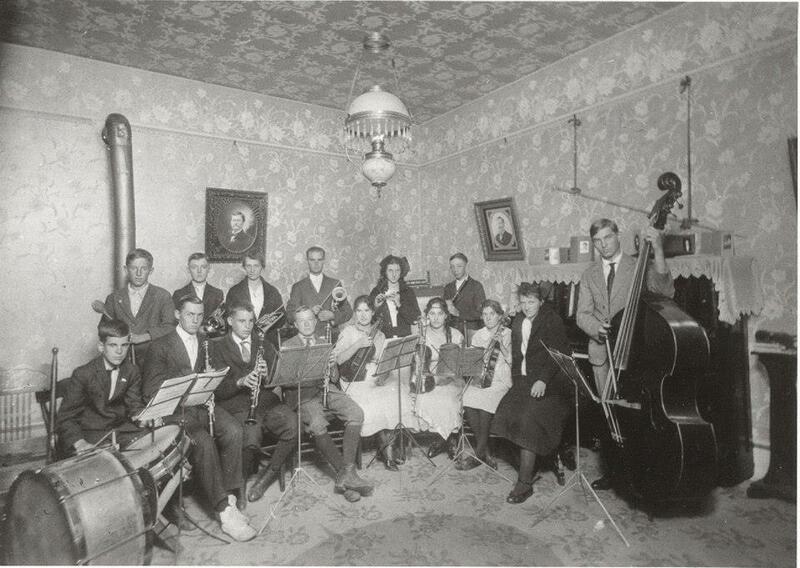 Hopper Band (c 1910)- Left to Right front: Myron Hopper, Earl Moore, Mike Street, Etta Hopper, Lucille Jones, unknown, Gail Battin, and Harry Bitters. Back: James M. Jones, unknown, unknown, Rex Hopper, Olive Marshal, and James Kennedy. Taken in Mart Hopper Home formerly the Frank P. Taggart Home on N. Jefferson St. Now it is the Bright-Williamson Insurance office.